It could have happened anywhere, but it happened in PE. Casey Lieberman, an avid soccer player from Arroyo Grande—known by her family and teammates for her willingness to put herself in harm’s way during games—was in class as a freshman at Arroyo Grande High School last February when a classmate drop-kicked a soccer ball from behind her at point-blank range. Without the opportunity to brace herself, Casey’s head snapped forward upon impact. The school’s athletic trainer evaluated Casey and decided that her symptoms of dizziness and nausea pointed to a concussion. One of the many medical challenges inherent with concussions is predicting what will happen to a given individual after trauma occurs. 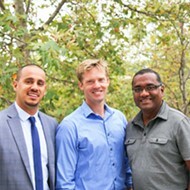 Treating and managing a concussion is usually a matter of reacting to the situation at hand, as each circumstance and brain is unique. Casey’s symptoms worsened in the hours and days following the hit. She developed an intense sensitivity to light and sound. After a few days of resting in a dark room at home, Casey tried going back to school. But the florescent lights and classmate chatter were too head-splitting. What could be more vital to health and fitness than the well-being of the head? Concussions are staying in the national spotlight after the release of the film Concussion, and they are the most commonly diagnosed sports injury in high school athletics. A report from the National High School Sports-Related Injury Surveillance Study found that concussions made up 25 percent of injuries in high school athletics in 2014-2015. TBIs are on the minds of many local parents, coaches, and athletes as well, after the life-threatening head injury suffered by 16-year-old Isaac Lindsey of Templeton stunned the SLO County community. Lindsey suffered a rare type of TBI—secondary impact syndrome—that takes place when a second concussion is sustained after the first one goes unnoticed. The brain is shaken by the next trauma before it has had time to fully heal from the initial one. While secondary impact syndrome has a fatality rate of 50 percent, Lindsey was lucky enough to recover after a weeklong medically induced coma and many weeks of rehab. Concussions can occur in just about every physical activity, but they are suffered at varying rates depending on the sport. In organized youth sports, boys experience concussions at the highest rate in football. For girls, soccer holds the highest concussion rate. Even though medical research on concussions has improved our understanding of the injury, and therefore our ability to manage them, concussions remain a nebulous phenomenon that can be difficult to detect and treat. San Luis Obispo High School football coach Pat Johnston is barely 30 years old, but he is certain that the high school football he played in 2004 is very different from the sport he coaches today. 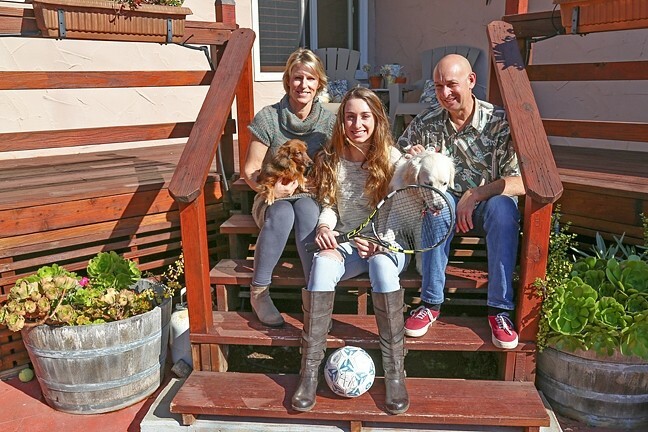 FAMILY ORDEAL : Casey Lieberman (center), a 15-year-old soccer player from Arroyo Grande, suffered a severe concussion in a PE class last February that compromised her vestibular system. Casey experienced months of headaches, dizziness, sensitivity to light, and difficulty concentrating. Following her recovery, she quit soccer and now plays tennis. A majority of those changes are about reducing the risk of TBIs in the sport. Football sees the highest rates of concussion in sports, at 11.2 concussions per 1,000 athletic exposures, according to a paper by the Academy of Sciences. In January 2015, a new state law went into effect that restricts football teams to two full-contact practices per week. The law also requires any student athlete “suspected of sustaining a concussion” to be removed from play and cleared by a doctor or doctor’s office before returning to sports. Tom Goossen, Arroyo Grande High School football coach, told New Times that he decided to cut down on “live” practices eight years ago, averaging only one or two full-contact practices per season. The rules of the game have also changed to discourage hits to the head. Referees are playing an increasing role in protecting the players on the field. Changes to make football safer also include teaching new tackling techniques. Since two-thirds of concussions in football take place in the act of a tackle, Johnston knows it is a coach’s responsibility to teach players to tackle with their heads out of the way. One issue that coaches, athletic trainers, and parents cited as a worry is the tendency for players to withhold symptoms from adults in an effort to remain in the game. Johnston, again, believes that problem falls on the shoulders of the coach. 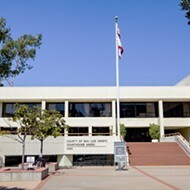 Club sports are another arena that many youth athletes participate in. According to referees and coaches in the club soccer scene, high schools are further along in concussion management than clubs. 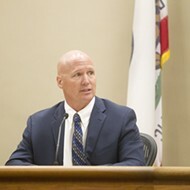 Doucette asks all his AYSO soccer referees to complete an online concussion course as part of their training, even though California doesn’t mandate the training for referees yet. “Other states do,” Doucette said. Cal South, another competitive local soccer club, requires all coaches, managers, and athletic trainers to complete a concussion training course. Doug MacMillan, a longtime local club and high school coach, believes that the increased awareness and education for soccer coaches, especially on the threat of secondary concussions, is having a healthy impact on the sport. 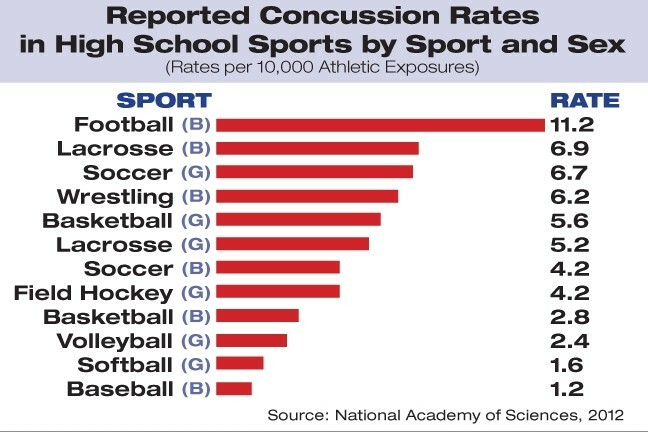 Soccer sees the highest rate of concussions in girls’ sports, at 6.7 concussions per 10,000 exposures, with about two of those statistical concussions taking place in the act of heading the ball. U.S. Youth Soccer, the largest soccer club in the country, recently banned headers for players under 10 years old. While that rule has yet to trickle down into leagues not under the umbrella of U.S. Soccer, it may not be long before the policy is adopted universally. Nancy, Casey’s mother, believes that children should be encouraged to follow their passions when it comes to sports. 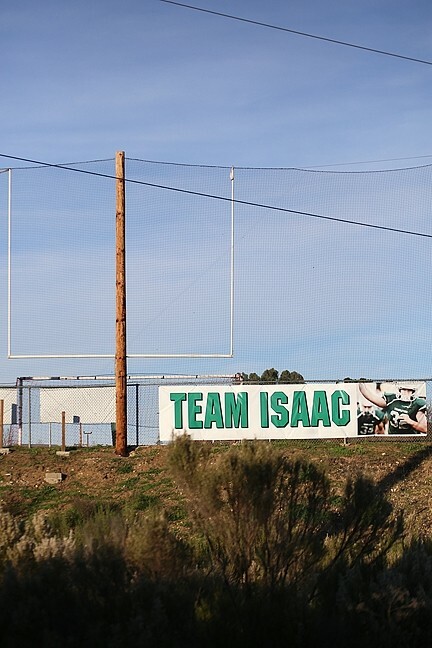 TEAM ISAAC: The Templeton community welcomed home 16-year-old Isaac Lindsey in December after he spent weeks rehabilitating from a life-threatening head injury. Lindsey sustained a secondary impact concussion during a high school football game, meaning he suffered a second concussion after a first one went undetected. Multiple concussions are a pressing concern in the SLO youth sports community. The biggest risk with concussions comes when they go unnoticed. Because many of the symptoms of a concussion are also common ailments of everyday life, it requires the keen eye of a coach, athletic trainer, or parent in addition to honest communication from the athlete to identify a concussion. Stacey Ritter is the director of sports medicine and athletic training for San Luis Sports Therapy, a company that contracts with eight SLO County high schools—Paso Robles, Templeton, Atascadero, San Luis Obispo, Mission Prep, Morro Bay, Arroyo Grande, and Nipomo—to provide each school with one qualified athletic trainer. Symptoms of a concussion include headaches, nausea, dizziness, blurry vision, sensitivity to light and noise, sluggishness, trouble concentrating, and confusion. The threat of multiple concussions is most troubling. Concussions are not additive in their damage when suffered one after another—they’re compounding. Ritter tries to lower the probability of undetected concussions by assigning her athletic trainers one school as their sole responsibility. When Casey’s symptoms didn’t subside, her family consulted Dr. Debra Balke, a neurologist in Templeton. Balke told Casey and her family that the velocity of the soccer ball hitting her head, in combination with the post-impact whiplash and neck rotation, jostled Casey’s brain and caused a severe concussion. Balke warned that it could take considerable time for Casey to recover, possibly even a year. The doctor was right. Weeks and months passed, and Casey’s condition didn’t improve. Not only was she still unable to go to school, let alone be active in any sport, but her symptoms were changing—and not for the better. Following that phase, a new set of unpleasant symptoms arrived. As Casey’s condition dragged on, the family reached out to various specialists in hopes of getting some new information, techniques—anything that could help Casey along. Doctors agreed that Casey had an issue with her vestibular system, which regulates the body’s balancing of sight, sound, and cognition. But solutions such as vestibular physical therapy, which involved trying to use Casey’s vision to recalibrate her system, didn’t work. The exercises only exacerbated Casey’s symptoms. In 2006, Dr. Otto Schueckler, a local orthopedist and youth sports team physician, traveled to Pittsburgh to attend a national sports medicine conference. 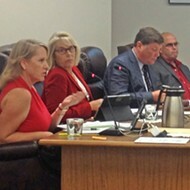 “Their group really was looking at how do we tell who has a concussion, how bad it is, and when should an athlete be able to return back to sports,” Schueckler said. The imPACT test is a series of sophisticated computer tasks designed to measure brain function—a way to establish a baseline score to test against in the event of a possible concussion. If a player scores lower than the baseline test after suffering head trauma, that is evidence the athlete needs more time to recover. 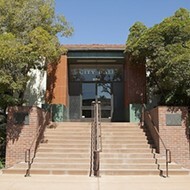 Inspired, Schueckler returned to SLO and talked to Mission Prep High School administrators about the possibility of implementing imPACT testing for the student athletes. After a successful trial, Ritter at San Luis Sports Therapy expanded the imPACT program to all of the SLO high schools she serves. With funding assistance from Sierra Vista hospital, imPACT tests are now mandatory for high school athletes across all sports. With concussions becoming an increasing concern for youth safety, there’s a renewed sense of urgency to find the next breakthrough in concussion management. Tablet apps, blood tests, and balance tests are all possibilities on the medical frontier to better and more quickly determine if a player has suffered a concussion. While Ritter welcomes scientifically sound methods, she is cautious when it comes to embracing the next trendy tool. By August of last year, Casey’s symptoms were finally subsiding. She passed all the final tests of concussion recovery. Casey was back to normal—sort of. She still struggles with headaches on a daily basis. The result of Casey’s ordeal? She decided to quit soccer and pick up tennis. “It’s a smaller, softer ball,” joked her father. Casey’s parents insist that the decision to switch sports was hers and not theirs. Even though Casey’s concussion occurred in the most bizarre and unpredictable of ways, it may still have been preventable. Prior to last year’s winter soccer season (and her February concussion), Casey, like all her teammates, took the baseline imPACT concussion test. Four months after her concussion, Casey’s baseline test results surfaced. To everyone’s surprise, Casey had scored poorly on the test, which indicated she may have had a concussion before that fateful PE class. The mistake underscores the difficulty of tracking and managing concussions in a systematic, error-proof way. When Casey and her athletic trainer believed she was taking a baseline test, she was in reality taking a concussion test. While coaches, parents, trainers, and doctors do everything in their power to keep kids safe, Casey Lieberman’s and Isaac Lindsey’s stories demonstrate the inevitable few that fall through the cracks, the few who play through a possible concussion when they shouldn’t. Some parents may feel like that risk is reason enough to hold their children out of contact sports. Others see it is a calculated gamble, where the benefits from the activity outweigh the probability of harm. “It’s an individual decision,” said Goossen, the Arroyo Grande High School football coach. “If a parent chose not to have their kid play football, I would absolutely support that decision.